Getting Started with Acumatica and Power BI. In this example, analyzing your Acumatica Monthly Commercial Transactions and finding the highest Transaction Type Category across multiple Instances and Companies. Here’s an example of how Acumatica data displayed next to a water fountain using Power BI is driving positive organizational behavior for an organization. Getting Started with Acumatica and Power BI. In this example, finding unused inventory by displaying the inventory value with the last time it was ordered. Introducing Velixo Reports for Acumatica, a Microsoft Excel based Financial Report Writer alternative to Analytical Report Manager (ARM) in Acumatica. Getting Started with Acumatica and Power BI. In this example, comparing # of Customers, # of Invoice Lines, and Total Sales Amount in your Acumatica data. When Importing Historical Data into Acumatica, you might also want to attach documents (like scanned AP Bill images) to the records. Here’s how to do it. The death of my initial Query Quarry idea is a good thing. The new Query Quarry direction is exclusively a Generic Inquiry Data Warehouse for Power BI. Acumatica Report Designer finally has an Undo Button. It only took 2.5 years. Many thanks to Vladimir Panchenko for making this happen. Are you using Acumatica? Have you heard about Power BI, but aren’t sure how to get started? 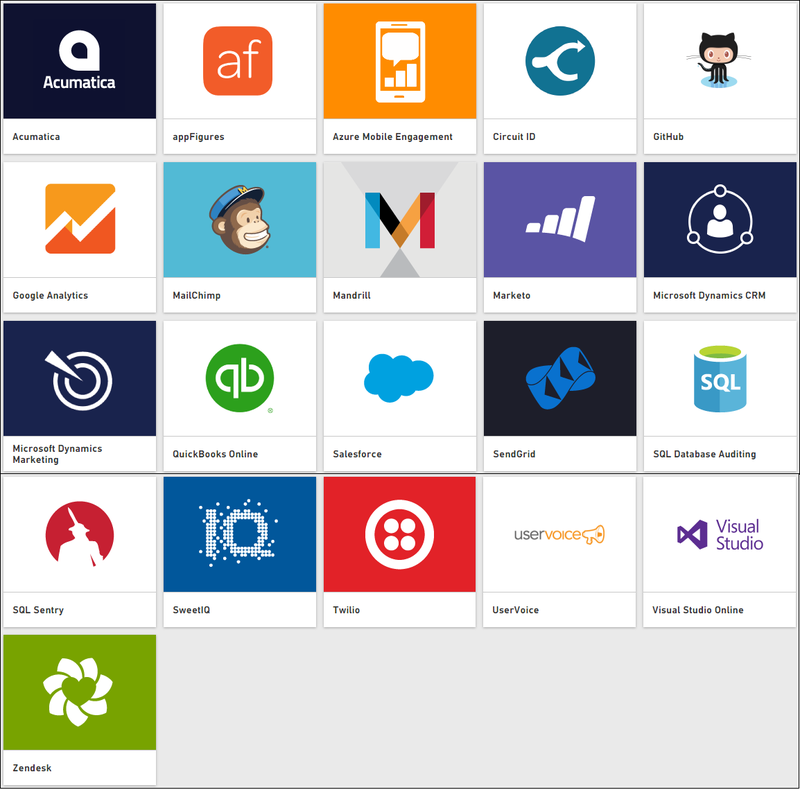 Query Quarry helps you get started with Acumatica and Power BI. Query Quarry has the ambitious goal of giving you access to all of your Acumatica data by means of a massive library of pre-built Acumatica Generic Inquiries. ARC has finally arrived. See below for the official landing page where you can become a member or just window shop by browsing the forums. Get email notifications when your Financial Reports change in Acumatica. This is especially useful when you have multiple people working on them together. You can point Power Update to individual Excel files or entire folders full of Excel files, then tell Power Update to publish out to Excel Online. The out-of-the-box content pack for Acumatica in Power BI is merely scratching the surface. Dive in and do more, much more, with Power BI Desktop. Are you wondering how to get started with Acumatica and Power BI? There are a few low hurdles that you need to overcome. Checkout this post and video. Seven weeks ago I started working for Acumatica. During the past seven weeks, I have been considering whether or not to continue posting on this blog. I have a lot of ideas for posts (some written down, some in my head), but I wanted to see how the first seven weeks would go as an Acumatica employee before deciding whether or not to continue blogging here. Power BI lets you filter or pivot on anything you want. You don’t get handcuffed. You are free to ask whatever questions you want about your data. What is CSV and why does it exist? Acumatica Reporting – Where to Start? I noted a while back that Acumatica is aligned with Microsoft while NetSuite is aligned with Oracle. Since Satya took over the reigns at Microsoft, they have sped ahead with their technology. So much so that NetSuite recently ditched Amazon for Microsoft Azure. Of course, it pays to go with Acumatica which allows you to deploy with SaaS or on Azure, Amazon, 3rd party hosting, or on-premise. I still use paper occasionally, not because I’m old but because I’m human. Human beings are analog, not digital, beings. Are we destined for 50/50? Started at Deloitte and Touche in audit. Clients always had trouble pulling information from their systems to give to us in a usable format. Serendipitously landed in ERP in 2005 where I learned SQL and how to pull whatever information I wanted out of the system. A dream come true! I eventually was introduced to the world of Business Intelligence, Data Warehousing, and Data Discovery tools. So much better than Crystal reports! From “focus on tools” to “focus on people”. 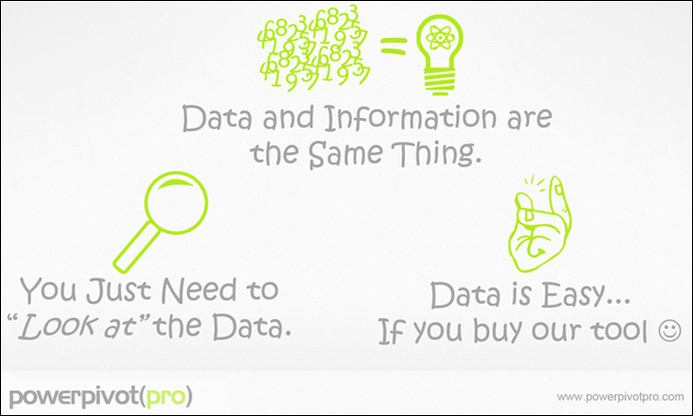 The real Business Intelligence is people. Reports don’t make decisions, people make decisions. The numbers themselves tell a story: Height, Weight, Age, Grade Point Average, Batting Average, Salary, Annual Revenue, Headcount, Outside Temperature. All of these numbers paint a picture and tell a story. Data viz is the cherry on top, not the ice cream sundae. A number queried directly from the ERP system versus a number from the Excel spreadsheet on a VP’s laptop. The VP’s laptop will always win because there is a greater level of trust. Most clients are already reporting in Excel, the BI Trojan Horse (at least to some extent). So, ya, have a lot of ideas for future blog posts. 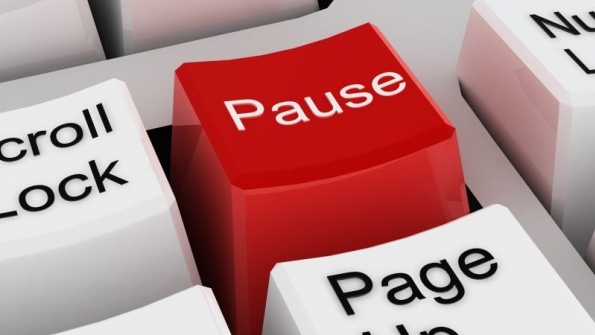 However, after a lot of careful consideration, I have decided to hit the pause button. Things are much busier at Acumatica than they were at my last job and I just don’t have the time or energy at the moment to continue blogging. I really want to, but I’m just not able to at this time. When I started work at Acumatica, I also started going to the gym again (it’s been a while), in the morning before work, and I LOVE it. If I were to continue late night blogging, it would kill my morning gym time and I’m just not willing to give it up. In order to hit the gym in the morning, I have to go to bed at a reasonable time (10ish to 10:30ish). Basically I get home, play with the kids for a little bit, help put them to bed (a long process), and then it’s time for me to go to bed. So, that’s it. Things will go quiet here on the blog. I might pick it up again at some point in the future, but we’ll have to wait and see. It’s a shame because there are many, many exciting things going on with Power BI and I would have loved to tie them in with Acumatica and the world of ERP. I firmly believe that paper-based reports will continue to give way to reports on your laptop screen, on your phone, or on the tv monitor in the conference room. Power BI is in a great position to deliver these kinds of reports and Acumatica is in a great position to feed Power BI with the kind of ERP data it needs to be valuable. If he had been a great and wise philosopher, like the writer of this book, he would now have comprehended that Work consists of whatever a body is obliged to do, and that Play consists of whatever a body is not obliged to do. And this would help him to understand why constructing artificial flowers or performing on a tread-mill is work, while rolling ten-pins or climbing Mont Blanc is only amusement. There are wealthy gentlemen in England who drive four-horse passenger-coaches twenty or thirty miles on a daily line, in the summer, because the privilege costs them considerable money; but if they were offered wages for the service, that would turn it into work and then they would resign. If I were a wealthy gentleman in England, then I would probably continue blogging about Acumatica and Power BI. I will focus instead on hitting the gym in the morning, keeping up with my new job responsibilities, and getting to bed at a reasonable hour. Thanks to all of you who have stopped by over the last two years. Quick intro from Tim: I first saw Haibin’s posts on LinkedIn sometime last year. He is an independent ERP consultant in China and he does Acumatica development work, including creating reports like the one that he takes us through below. Take it away Haibin! Quick intro from Tim: Robert Lightner (like Brade Kostreva last week) is one of a growing number of Acumatica users who have been using the product and really like what they see. So much so that they do crazy things like writing posts on their own time to share with other Acumatica aficionados. What we are witnessing here is a grassroots community that is forming before our very eyes. Speaking of community, Robert has expressed interest in starting an Acumatica User Conference. Today though, he shares with us a report that he created and asks for feedback. Quick intro from Tim: I was thrilled when Brad asked me last month about doing some guest posts here on the blog. We first connected about a year ago through the blog and have kept in touch ever since. I mentioned him recently on the bottom of the What is Power BI post. Unlike me, an Acumatica reporting hobbyist, Brad is actually using Acumatica, Excel, and Power BI in the real world. I’m looking forward to hearing his real world experiences in this and future posts. Take it away Brad! Tomorrow, September 17th, I will become an employee of Acumatica, filling the ERP Solutions Consultant position in the Columbus, OH office. Many of you have seen the news about Acumatica connecting to Power BI from a few months ago (click here, here, and here). But Power BI is a fairly new thing and many people aren’t exactly sure what it is. Three weeks ago we looked at using Excel Online to deliver your awesome Excel reports to people without them having to know that you made it in Excel. However, there currently is a problem with Excel Online. The problem is that there are actually different versions of Excel Online. There is a Free version, there is a Business version, and there is an Enterprise version. For more details, checkout this post by Mike Alexander (click here). I personally do not understand all the differences between the versions or even if these are indeed all the versions of Excel Online. There might be others that I am not even aware of yet. This is the downside of the Microsoft BI strategy at this time. It can be tricky to navigate all of the different options. Wow, I can’t believe that it’s been two months since my last substantial blog post! But it is Summertime and family activities take priority over the blog. We did some camping, made a trip to California to see family, and have generally been having a blast enjoying the nice Summer weather. Now it’s time for a long overdue blog post. Two months ago we built a very simple example of a dashboard in Excel (click here). Since we built it from an Acumatica OData connection, we were able to refresh it with live, up-to-date data by simply clicking a button in Excel. Of course, I am a big proponent of Excel because it has a long history of being a mature reporting product. It has been built over three decades and has over 800 million users. These users have used Excel for all sorts of different applications in the real world. They of course generate feedback which has in turn steadily transformed Excel into a very mature reporting solution. How robust is it? Consider this, if you go to business school, the chances are that you are going to be using Excel heavily in order to solve real world business problems. If you go to work on Wall St., you will not be able to survive, unless you acquire advanced Microsoft Excel skills. There is even an annual competition called ModelOff (click here) designed for these Wall St. types and the competition attracts over 4,000 people. I already mentioned the over 800 million users who are constantly placing demands for more and more features. When you consider that Excel has been around for 30 years, you realize that there are a lot of features available. It is a very mature application. Even Bill Jelen (aka Mr. Excel) admits that he rarely walks into a room to give a seminar about Excel without learning something new himself. Bottom line, even though Excel is not an all-encompassing reporting solution, it is a lot more powerful than most people realize. This is all great, but we have a problem. With the simple dashboard that we built two months ago, someone has to open Microsoft Excel on their desktop computer in order to use it. This is especially problematic for an Acumatica user because an Acumatica user is accustomed to being free to access Acumatica anywhere they want. They can access it from their computer, they can access it from their phone, and they are not tied to their Microsoft Windows desktop environment. I’ll admit that it can seem archaic to an Acumatica user when they are told that they need to use Desktop Microsoft Excel in order to do some reporting. Wouldn’t it be nice if I could open an Excel file in my web browser just like I open a regular web page, just like I open Acumatica? The good news is that there already is such an application and it is called Excel Online. Excel Online is web-based Excel. Applications like Excel Online have received a lot of attention from Satya Nadella, the new CEO at Microsoft. Satya has talked a lot about making Microsoft a cloud company, a company that delivers their software in the cloud, in the browser, on mobile devices, and not just on Desktop computers. What has been interesting is to see how quickly he is taking Microsoft in this new direction and I think many are surprised to see how quickly Microsoft is actually executing on the vision outlined by Satya. Excel Online is one of many examples which demonstrate what the future looks like for Microsoft applications. As time goes on, Excel Online is beginning to feel more and more like Desktop Excel. Interestingly enough, Desktop Excel is beginning to feel more like Excel Online. For example, you can now embed web apps into Desktop Excel documents by inserting them from the ribbon. This just goes to show that the entire Excel experience, both with Excel Online and with Desktop Excel, is beginning to feel like one giant web application. This is not an accident, it is simply the execution of Microsoft’s new strategy. It seems like eventually there will only be one Excel product with two versions: a Web version and a Desktop version. Microsoft has already accomplished this with Windows. The next version of Windows, Windows 10, is one Windows code base. It is just one collection of computer code, but it can be deployed on a Desktop computer, on a Tablet, on a Phone, or even in the Cloud. I believe that we will eventually see the same thing happen with Microsoft Excel. If this “one code base, any device” philosophy sounds familiar, it should. Acumatica has been doing this since it began in 2008 and it is a part of the Acumatica DNA. Recently I realized that, since OData is a secure way to deliver Acumatica data over the internet, it might be possible to connect to an Acumatica data source from the Excel Online web application, not just from the Excel Desktop application. I was pleasantly surprised to find that this is indeed possible using Excel Online and Office 365. In the video below, I would like to show you how to take the dashboard that we created two months ago, upload it to Excel Online, and actually refresh the Excel Online dashboard with live data from Acumatica, all within your web browser, without ever having to open the Desktop Excel application. The CA Edit (CA612000) report in Acumatica shows you the transactions that have been entered through the Transactions (CA304000) screen and that are not On Hold and not Released. 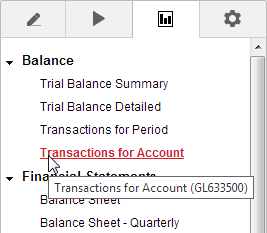 The Reconciliation Statement (CA627000) report in Acumatica assists you went reconciling your bank accounts. 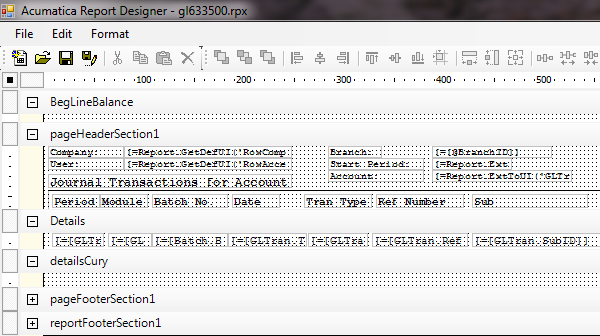 You can see a list of the transactions that have not yet been reconciled in the period that you select. The Cash Account Details (CA633500) report in Acumatica allows you to see the individual transactions in a cash account for a chosen date range. The Cash Account Summary (CA633000) report shows a summary of the transactions per day, but this report actually shows you each individual transaction. Last week we built a very simple dashboard in Excel by connecting Acumatica data to Excel using OData. 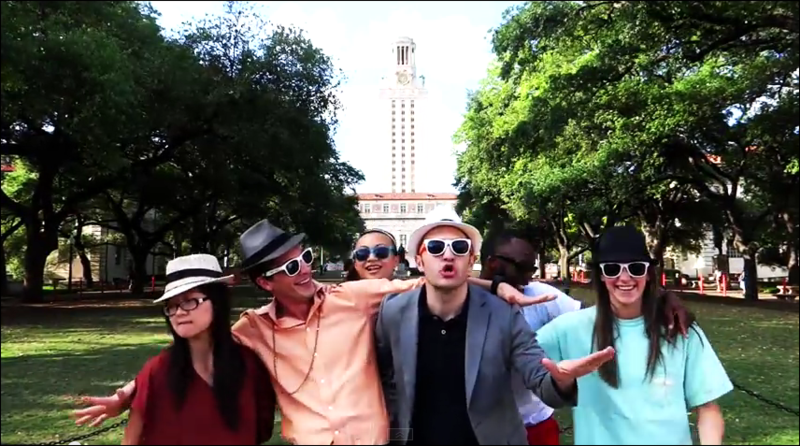 This week I have been super busy so I wasn’t able to put together a video post. The Cash Account Summary (CA633000) report in Acumatica gives you an overview of your cash situation. 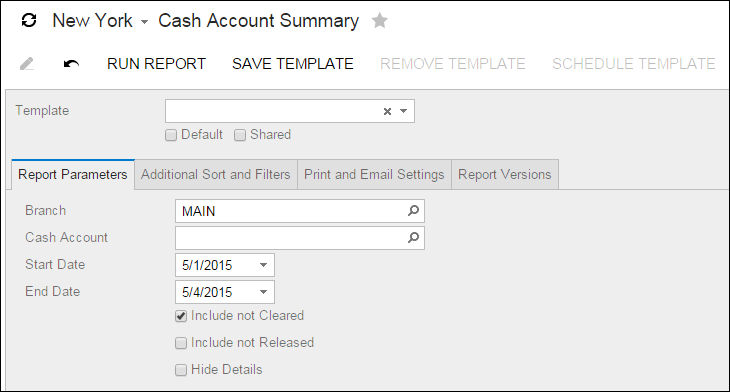 You can see the daily balance of each of your cash accounts along with a summary of the receipts and disbursements. There is a reason that Microsoft Excel is the world’s most popular BI reporting tool. It’s easy to use and you can find tons how-to information online. If you aren’t sure how to do something in Excel, just type your question into Google and the chances are that you will find an answer. Excel formulas are very powerful and there are myriads of ways that you can combine them together to create powerful calculations. The GL Reversing Batches (GL690010) report in Acumatica allows you to enter a batch and then see all the reversing entries that have been made against that batch, including their individual debits and credits. This isn’t my favorite report, but I suppose it could come in handy when you aren’t sure if there have been any reversing entries made against a batch. Update February 5th, 2017: Alas, the TryAcumatica.com links don’t work anymore since that site has been taken down. So, I removed the links. Last week we took a look at how to build a simple Generic Inquiry screen in Acumatica. Then, at the very end, we checked a box to enable it for OData. Checking that box allows us to connect to the data in our Generic Inquiry screen using other applications, including the world’s most popular business intelligence application: Microsoft Excel. The Open GL Documents (GL656000) report in Acumatica allows you to view all the unposted GL documents in Acumatica. It’s easy to forget about an unposted transaction. This report helps you to track them down and clean them up. Two weeks ago I posted about why it’s such a big deal that Acumatica has connected to Microsoft Excel and Power BI via OData. But how do we tap into this new magic “power”? Everything begins with building a Generic Inquiry screen in Acumatica. In order to use an OData connection in Acumatica, you first have to build a Generic Inquiry screen. In this post, I’d like to walk through building a simple Generic Inquiry screen and enabling it for OData. The GL Recurring Transactions Detailed (GL640500) report in Acumatica shows your recurring transactions that have been setup in the Recurring Transactions (GL203500) screen. It is very similar to the GL Recurring Transactions (GL641500) report except that it shows the individual debits and credits for each scheduled batch. Last week I mentioned the recent announcement by Acumatica which connects Acumatica to Microsoft Excel, Power BI, Power Pivot, and Power Query. Then I made my case for why I think that Excel and the “Power” tools are a big deal. But where does the Report Designer in Acumatica fit into all of this? Hold onto your seats, the world’s fastest growing Cloud ERP software (Acumatica) is about to collide with the world’s most popular Reporting and Business Intelligence software (Microsoft Excel). Acumatica made the announcement this morning (click here) at Microsoft Build, the annual conference aimed at developers who use Microsoft’s next generation technologies. I just watched the event live at www.buildwindows.com and the Acumatica OData solution occupied the stage for 5 minutes which is a lot of time considering how much they cram into the keynote (watch and you’ll see what I mean). 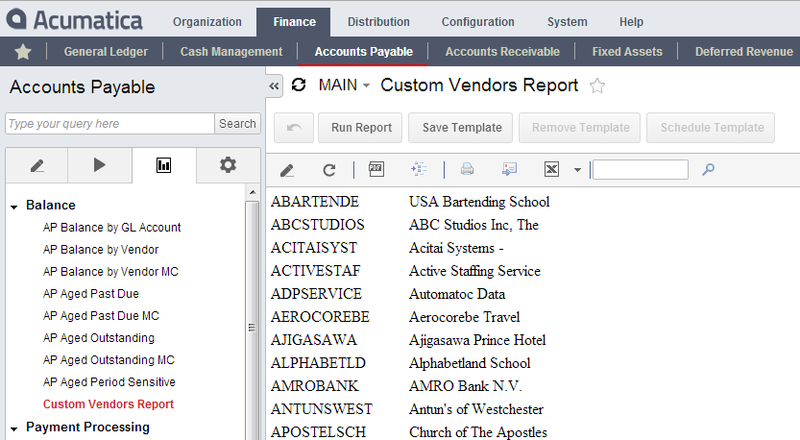 The OData feature in Acumatica allows users to connect Excel to virtually any Acumatica data that they want. No more manual exporting and importing. You can now build an Excel report with Acumatica data and have it refreshed with the click of a button. So what’s the big deal about Excel? Ah, yes, it is a spreadsheet program, but it is also the most popular Reporting and Business Intelligence software on the planet. Wall Street would collapse without Excel, the government’s budget and census projections would be nonexistent without Excel, and university research would be nothing more than data, lacking any analysis, without Microsoft Excel. 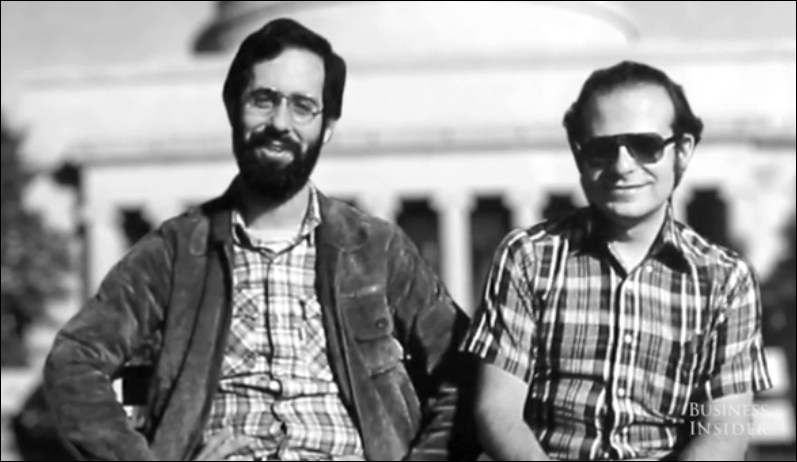 Ok, maybe I exaggerate a little, but take a look at the following video featuring the two creators of VisiCalc, essentially the first version of Microsoft Excel, and maybe you’ll agree with me. The January 1982 issue of Inc. magazine featured the creators of VisiCalc on the cover highlighting the birth of the new computer industry. Notably, Bill Gates was pictured on the inside story, but not prominently on the cover. It’s notable that in 1985 the spreadsheet had already become synonymous with important decision-making. VisiCalc eventually became Microsoft Excel and Microsoft Excel has now been installed on over a billion computers worldwide. We have the same situation today that we had in the 1980s. Walk the halls of any company, duck into a meeting, and look at the reports that are being used to make critical business decisions. You will probably find that the majority of those reports were created in Microsoft Excel. By now, all the reporting professionals are nodding their heads. Why? Because they share a common experience with Mr Excel (aka Bill Jelen). Click the image below and listen from the 2 minute mark to the 5 minute mark as Bill tells his story of how he used spreadsheets to do what a $100,000 reporting software package couldn’t do. I personally have experienced this many times, whether it was during my consulting days or now at the manufacturing company that I work for. As an IT person, I used software like Crystal, SSRS, and FRx to create reports. But, time after time, people would ask me how they could export the reports to Excel. Eventually I started to pay attention to the reports that were being brought to meetings. It was then I discovered that my reports were simply exported to Excel where the “real” reporting actually took place. 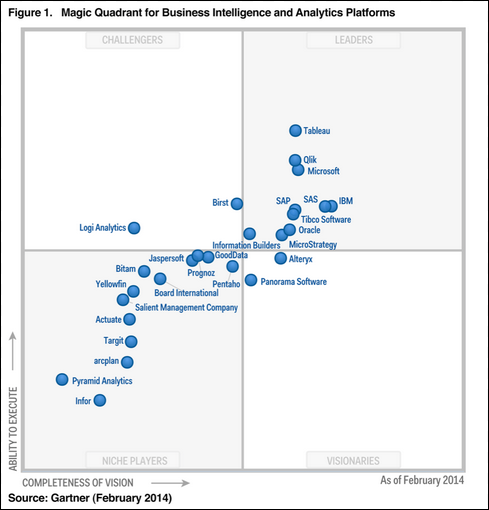 Some of these vendors (notably Tableau, Qlikview, and Domo) try to promote what I call “out of the box analysis” where they imply that, if you buy their software, you will instantly have insightful dashboards at your fingertips. It’s as if their software can somehow magically understand your business and spit out meaningful reports without you having to do any thinking. In late 2006, a Microsoft employee launched a secret incubation project called “Gemini” with a goal to make SSAS (SQL Server Analysis Services) available to users of Microsoft Excel. Microsoft SQL Server Analysis Services is one of the most popular analysis software solutions for medium sized businesses in the world. It’s important to note that “project Gemini” was initiated by someone from the SSAS team, not the Excel team, at Microsoft. “Project Gemini” was released as Power Pivot in 2009 as a free add-in for Excel. The goal was achieved in that Excel users now had access to the power of SSAS, but in an interface that was familiar to them. Power Pivot gained popularity very quickly and it eventually became the centerpiece of the entire Microsoft BI strategy. After Power Pivot, Microsoft added Power Map, Power Query, and Power View to the stack. All these solutions were built as add-ins for Excel. More recently, Microsoft launched Power BI which makes the stack available in your web-browser or on your phone, without the need for Excel. You can also query your data by typing sentences and the software will create a graphical report for you based on what you typed. These tools basically amount to “Excel on steroids” and they have taken what was already the world’s most popular Reporting and Business Intelligence software and made it 100 times more compelling. I personally have been using these “power” tools since 2012 at the company I work for and have found them to be better than any reporting software that I have ever worked with. Most ERP packages for the mid-market have their own proprietary reporting tools. Or, you can pay for a 3rd party solution. By connecting directly to Excel, Acumatica just picked up 30 years of reporting experience (Excel was introduced in 1985). The Acumatica reporting tools just went from a bicycle (Report Designer) to a Lamborghini (Excel with Power Pivot, Power Query, and Power BI) overnight. When I started PerpetualAcumaticaLearner.com in April 2013, I was just interested in learning about Acumatica in general. The idea to connect Acumatica to Excel first occurred to me in January 2014 when I was trying to do it with Power Query (click here), but Gabriel from Acumatica had a much better idea to use OData (click here). When I moved things here to TimRodman.com in January of this year, I did it with the expectation that Acumatica would eventually be connecting to Excel with OData. I had become very excited about Power Pivot because of what I experienced at the company that I work for. For more on that experience, click here. 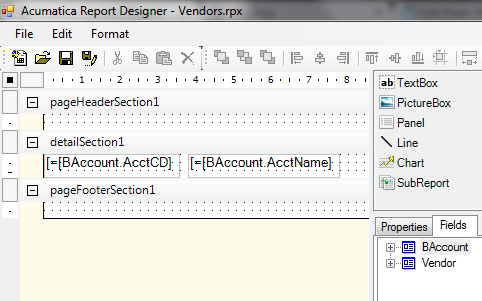 I figured I would learn Report Designer while I waited for Acumatica to implement OData. I just never thought that they could implement it so quickly. I think that part of the reason why they were able to do it so fast was because they partnered with the Microsoft engineers. This is a pattern with Acumatica that I have noticed in that their development team doesn’t operate as a closed unit. They aren’t afraid to reach out and build on top of other solutions. This is a philosophical difference between a synergistic web-based vendor like Acumatica and the siloed approach that most traditional ERP vendors have become enslaved to. And it’s another reason why I think Acumatica is more of a platform than just an application. I have already used OData to deploy Excel reports for two of my clients and it works great. I think that Report Designer is only for 5% of the reports that a company needs. 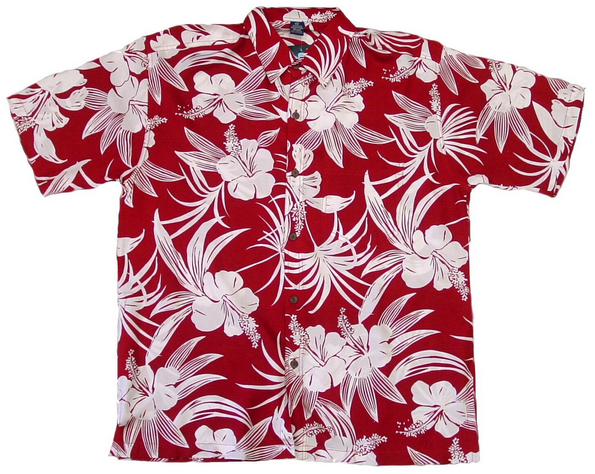 It’s great for things like Checks, Purchase Orders, Sales Orders, Invoices, Customer Statements, etc. As for the other 95%, I believe that Excel with Power Pivot, Power Query, and Power BI is going to become the go to solution. With this in view, my posts going forward will focus on Excel with Power Pivot, Power Query, and Power BI. However, I will continue my review of the standard reports on Thursdays because they give me insight into DAC which is critical to building the Generic Inquiry screens that the Acumatica OData connections depend on. But more on that in future posts. 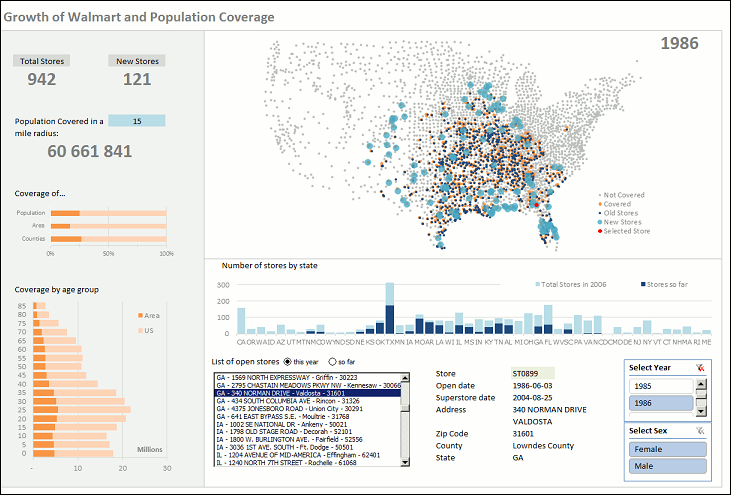 Suffice to say, I am very happy about the OData announcement today, and thrilled that it happened on the 2 year anniversary of my first post (click here). There are a lot of new possibilities to explore and it’s going to be a fun adventure. Please feel free to comment with your thoughts and let’s keep learning together. 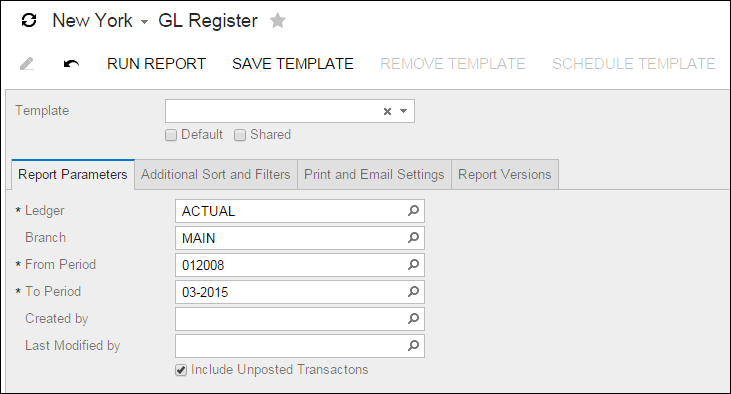 The GL Recurring Transactions (GL641500) report in Acumatica shows your recurring transactions that have been setup in the Recurring Transactions (GL203500) screen. The GL Register Detailed (GL621000) report in Acumatica shows your all the batches in the system that have been Posted or Released, regardless of the module. The format of the report is almost exactly the same as the GL Edit Detailed report, except the GL Edit Detailed report shows batches that have not been Posted, Released, or Voided whereas the GL Register Detailed report shows batches that have been Released and Posted. Would anyone out there be interested in a comprehensive Acumatica Report Designer Training Course? The training course would be comprehensive, covering everything from beginner topics like “creating your first report” and “creating fields that use calculations” to advanced topics like “determining the proper DAC relationships” and “delivering embedded reporting with subreports and hyperlinks”. The GL Register (GL620500) report in Acumatica shows your all the batches in the system that have been Posted or Released, regardless of the module. This is the opposite of the reports that we looked at the past few weeks because it shows batches that HAVE been Posted or Released, not those that HAVE NOT been Posted or Released. 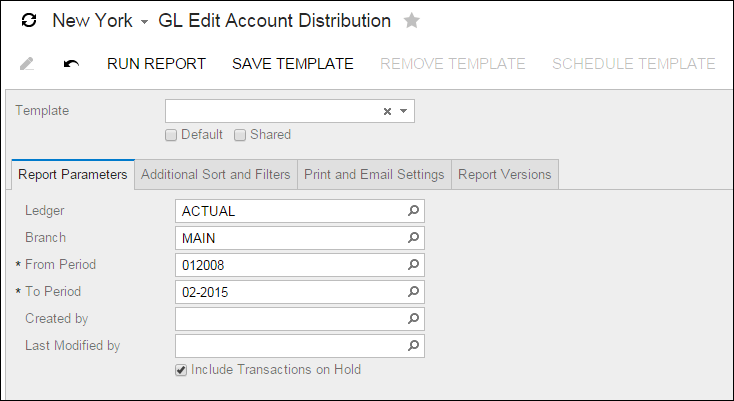 The GL Edit Account Distribution (GL611000) report in Acumatica shows your GL batches that have not been Posted or Released. It is similar to the GL Edit Account Distribution (GL611000) report that we looked at last week (click here), except that it shows the Batches underneath each Account instead of the Accounts underneath each Batch. 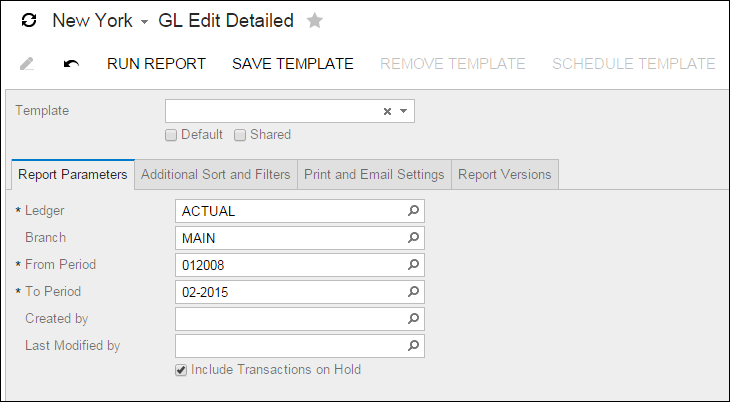 The GL Edit Detailed (GL610500) report in Acumatica displays your GL batches that have not been Posted, Released, or Voided. It is exactly the same as the GL Edit Summary (GL612001) report that we looked at last week (click here), except that it shows the individual debits and credits underneath each batch. 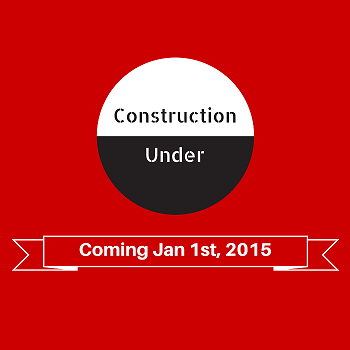 Things are beginning to take shape with my new Acumatica Reporting business. I have begun work on a new website and already picked up a customer in need of some Acumatica reports. There is a lot of opportunity here and I’m very excited. Last week was the 1.5 year anniversary for this blog and my personal Acumatica learning journey (click here). That milestone, coupled with a rejuvenating two week vacation, caused me to consider where I would like to go next. This week I passed S130 Reports, Dashboards, and Inquiries. I first started this course back in July 2013 (click here). 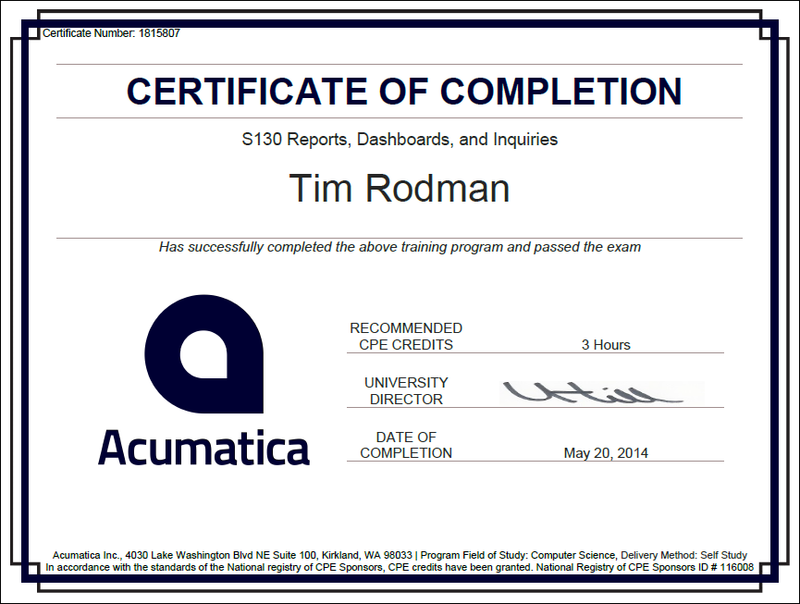 Now, almost a year later, I finally finished, thanks to a renewed interest in the Acumatica reporting vision (click here). I barely made it through the first 66 pages of the 112 page training manual on Acumatica Report Designer because it was really dry and boring. To be honest, I didn’t read it carefully, but instead skimmed through. The concepts are consistent with other report writing programs like SSRS and Crystal Reports and the training material is more like a reference manual than training material. However, I do think that I will be referring back to it in the future since it’s a good resource. For me, the best way to get comfortable with a new report writer is to start writing some reports! That’s why I was happy to finally see on page 68 how to save and publish a report. 1. Make your report (I just dropped a couple of vendor fields on my report to start with something simple). 2. 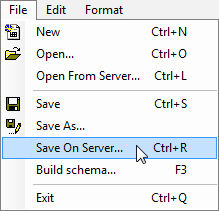 Go to File -> Save On Server… and give the report a name (I used Vendors.rpx). I also checked the Save as new version box which I’m hoping will keep a snapshot of this version of the report somewhere in the database (with Crystal Reports I always append the date to my versions which is a really duct tape way to do versioning). 3. Now for the cool part. The training course introduced me to the Site Map (SM200520) screen which is how you can make modifications to the Acumatica menu. In this case, all we need to do is add a new item to the menu for the new report. Since this is a vendor report (a really simple one), I decided to put it under Finance -> Accounts Payable -> Reports -> Balance. All I had to do was browse to the folder and then add a new entry (the highlighted one). You can click the image below to get a clearer picture. 4. Now we can browse to the new report and run it. I’m starting to warm up to Acumatica Report Designer after seeing how easy it is to publish a report and how nicely it integrates into the Acumatica application. I’m sure that SSRS reports still have their place, but a user would definitely notice that they are leaving Acumatica when running an SSRS report. Also, reports created with Acumatica Report Designer become just like any other screen as far as security (who has access) is concerned. On the other hand, SSRS security is maintained in an entirely separate area. Finally, when running a report created in Acumatica Report Designer, a user has no idea whether they are using a standard report or a custom one. This is exactly the kind of experience that I want a user to have when running reports. The Acumatica Report Designer is a stand-alone program that allows you to create reports in Acumatica. Here was my first experience using the program. 1. Open the Report Designer program on the Windows Start Menu. 2. All reports are stored as an XML file with the extension .rpx. 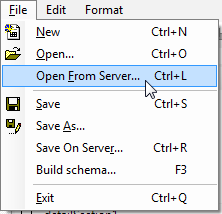 To open an existing report, you can go to File -> Open From Server… on the menu. 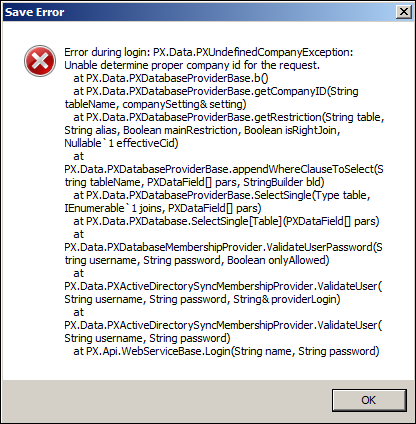 Error during login: PX.Data.PXUndefinedCompanyException: Unable determine proper company id for the request. 4. The company that I want in this case is called Demo Data. After entering your login info, click the Load reports list button to see a list of all available reports. 5. Select a report and click OK.
6. Note in the screenshot above that I selected the gl633500.rpx report. I knew that was the report that I wanted because I wanted to edit the Transactions for Account report in the Financial module. Since every screen in Acumatica has a unique ID, the report is actually just the ID for the screen in this case. You can determine the ID for a screen by putting your mouse over the screen name in the Navigation Pane or by clicking on the screen name, then looking at the address that appears on the top of your browser. As you can see in the screenshots below, both methods yield the result of GL633500. 7. Now I have a scary looking report that I can break if I’m not careful. Hopefully, after going through the 112 page S130 Reports Dashboards and Inquiries course, I will know what all the stuff below means. While I’m waiting for my appointment with the Acumatica Instructor, I decided to continue my learning journey by taking the S130 Reports Dashboards and Inquiries course. In my opinion, reporting is one of the main reasons why people buy new ERP systems. Sure, it’s nice to have lots of information stored in your ERP system, but that information is only meaningful if you can create meaningful reports. 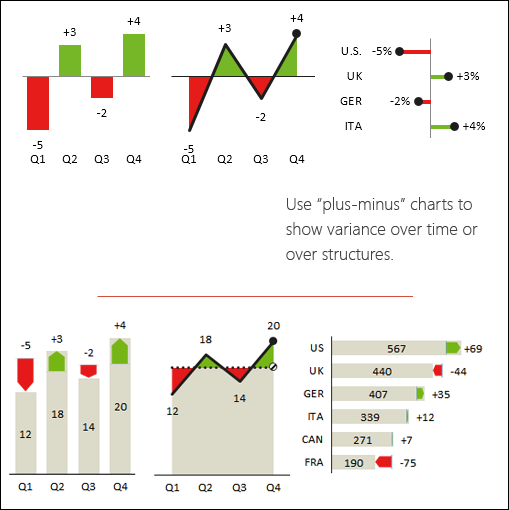 Also, the S130 Reports Dashboards and Inquiries course is the only one that makes sense at the moment. The Distribution learning module is not yet available, I’m not quite ready to go for the Projects or CRM modules, and I didn’t want to go through any of the boring Technical courses like installation, security management, upgrading, etc. For some reason, the S130 Reports Dashboards and Inquiries course is listed in the Technical category, but I consider it to be separate.